Big Oil, and the big money it has brought with it, has kept Dallas' economy running on all cylinders. Low building costs and plenty of cheap land to build on, helped to keep home prices from overheating during the boom years. Yet, they still fell rather dramatically during the bust, said Stan Humphries, the chief economist for Zillow. Median home values were just above $146,000 at the market peak in early 2007, and fell 13% to just below $127,000 by late 2011. An influx of jobs has helped prices recover. 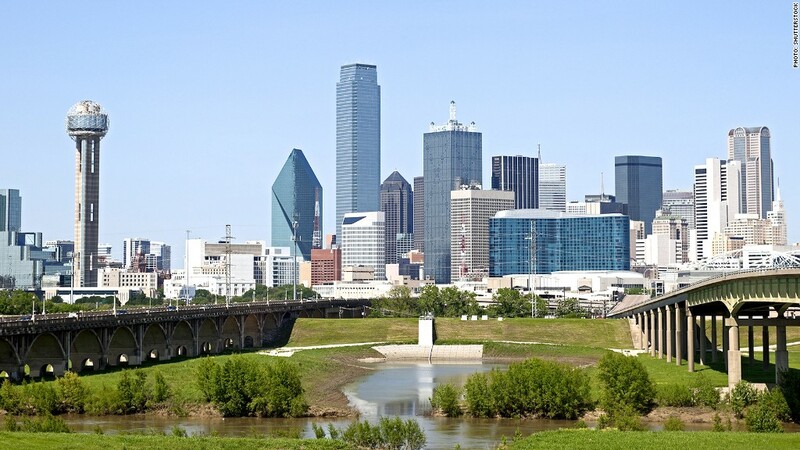 Zillow expects home values in Dallas to hit a new high by next spring, if not sooner. Zillow home values are the median estimated home value for a given geographic area in March 2014, and includes the value of all single-family residences, condominiums and cooperatives, regardless of whether they sold within a given period. It is expressed in dollars, and seasonally adjusted.